© 2018, Fu-Kwun Hwang - Dept. of Physics, National Taiwan Normal Univ. ; Fremont Teng; lookang. 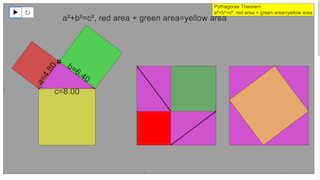 Drag the box left or right to adjust the shape of the pink triangle. Plays/Pauses and Resets the simulation respectively.